A real fire adds charm to any room, however, the surround has to withstand high temperatures to maintain safety and comply with Building Regulations. 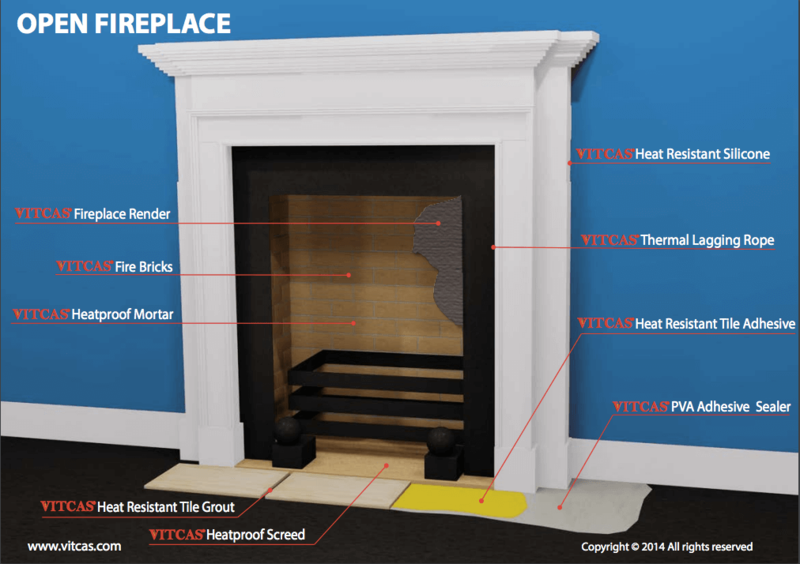 Whether you are renovating an antique fireplace, adapting a chimney breast to accommodate a cassette or inset stove or installing a free standing stove, we have everything you need in terms of heatproof materials for fireplaces and stoves. Firebricks and fireplace boards are the basic construction materials, used with the appropriate mortar, screed and adhesives. Vermiculite based products offer excellent insulation, while heatproof render, plaster and plasterboard afford protection to the area surrounding an inset stove or in the vicinity of a free standing stove. rope to fill gaps behind fire surrounds and tape to seal window panels and around stove doors. For an attractive finish, we supply firebricks and heat resistant paints in a range of colours to complement your décor. With open fires that use gas or solid fuel, a product called fire cement can be used to do small repairs to joints and cracks. Larger repairs can be done using fireplace render or heatproof screed, a products that can withstand very high temperatures. If you need to fix tiles in part of your fireplace exposed to heat, you can use heat resistant tile adhesive. If you are building a new fireplace or opening a chimney breast to create one, you can line the opening with fire bricks set in place with heatproof mortar or use fireplace board. The mortar joints should be thin: 3 to 5 mm. Generally speaking, 10 kg of heatproof mortar can be used to place 100 standard sized fire bricks. Alternately, you can render over the existing brickwork with Fireplace Render to a thickness of approximately one inch. Heatproof Screed can also be used to create a base for the fire area. Free standing stoves can be lined with Fireplace Render as well. Cassette fires (sometimes called "hole in the wall" fires) should have the area around the fire opening lined with heat resistant plaster that is made just for these kinds of fireplaces. Heat Resistant Plaster is made to go onto Fireplace Render. This can be applied up to 5 mm thick. 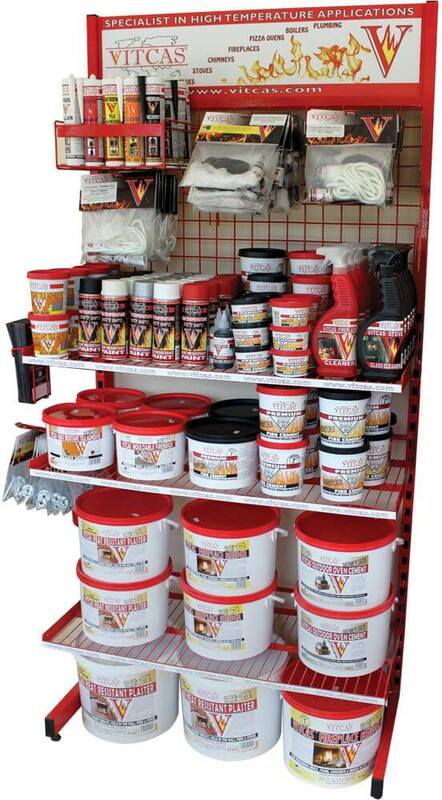 You can also obtain a number of other heat resistant products for fireplaces. Special mortars and adhesives with high levels of silica are made for use with chamotte bricks, fireplace boards, ceramic fiber, and insulating bricks. High alumina refractory mortars used with high aluminum refractory bricks are also available. The cements and mortars with the highest alumina content are also suitable with mag-chrome or magnesite bricks. Premium fire cements come in beige/buff or black and can be used for a number of applications domestically as well as industrially. Complete set of products required to build an open fireplace.